SOAPware DocumentationSOAPware FAQ'sFAQ's PrescriptionsQ: How do I build a multi-page prescription? A: To build a multi-page prescription, open Document Designer (Tools > Document Designer) to begin creation. 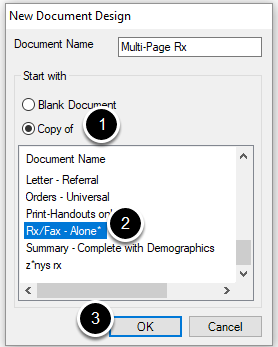 Click to highlight the Rx/Fax - Alone* Document Design. Click OK to open design. If it is entered, remove the data command to enter medications from the SOAP Note medication field, by highlighting the command, and hitting backspace on the keyboard. Please your cursor in the exact spot on the document where you wish for the Rx to appear. 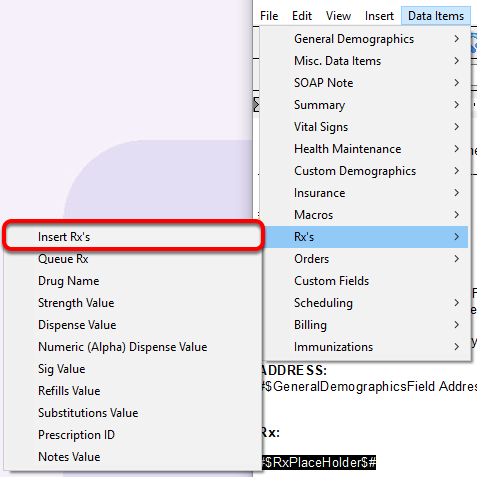 Then, insert the data command by clicking Data Items > Rx's > Insert Rx's. The new data command has been placed onto to document design. Click the Design Types tab. 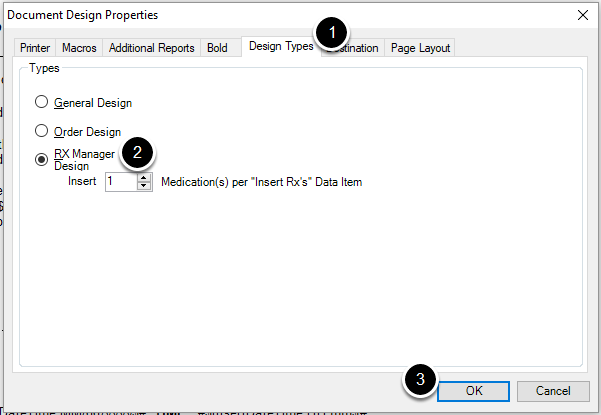 Select Rx Manager Design if not already selected. Select "1" for the number of medications inserted. Click Save when closing the design, to save all changes. 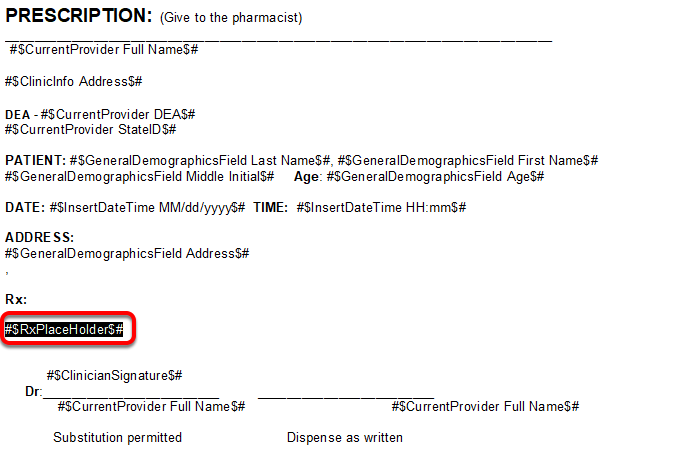 Previous Lesson: Q: How do I change the prescription design printed or faxed from Rx Manager? Next Lesson: Q: How do I add the office fax number to printed prescriptions?